ART - just do it! : Dove ornament for Christmas!! 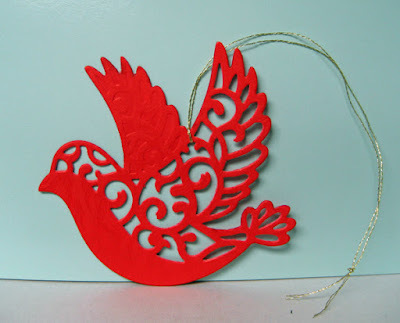 I created this red dove ornament for a special person and like it so much I will be making more to include in my Christmas cards to my friends this year!! I cut two doves (SB) and glued them back to back and added a gold embroidery thread hanger. Added the year on the back using a black marker. They would certainly be great in any wonderful paper - glitter, metallic, shimmery, etc so I will have to scour my stash to see what I can find to make them special for each person on my list!! Therese, What a great ornament. 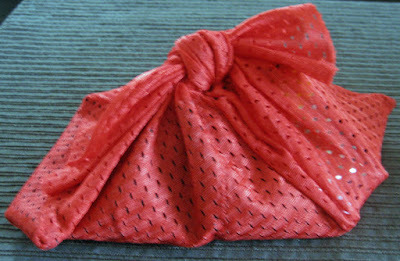 It is well balanced for the thread and hangs nicely. Metallic or foil would make it completely different. Sylvia D.